This is the first project document where project scope is detailed. Too many Project Managers skim over this to their detriment, as this is the number one reason for scope creep. After all if the project scope isn't accurately detailed within the PID, how can anyone really say what was in and out scope for the project to deliver? I have documented how to correctly fill in this section of the Project Initiation Document above. These are usually documented by Business Analysts. However if not correctly detailed the Project Management Requirements will be both ambiguous or open to interpretation. Worst still the Business Analysts may have forgotten to document the requirements in a few key areas. The weaker a Project Manager is perceived to be in terms of gravitas and experience, the more Project Stakeholders and others will try to shift the goal posts on project scope. You may be surprised to learn that Project Stakeholders are often indecisive regarding the functionality and scope they require. This indecisiveness usually translates itself into requirements and scope changing. Most projects have more than one Project Stakeholder. They often have different priorities and objectives. For example you could have a Project Stakholder from Marketing and another from Finance. Both want the project to deliver the same end result but they both have different reasons why. This often leads to arguments regarding prioritisation of functionality to be delivered as well as an ever moving project scope. 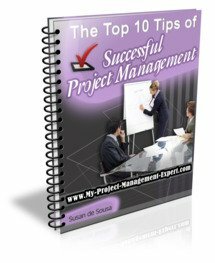 By ensuring Scope is properly detailed in the Project Initiation Document and that the Project Requirements are accurately documented an experienced Project Manager can significantly reduce the causes of Project Scope Creep.